Maize has been cultivated for centuries, but has only been eaten by human beings for a few decades. Forty years ago, not a tin of sweetcom was to be found in Europe, where maize was grown exclusively as an animal feed. In the United States, too, it was used to fatten cattle until the drought of 1929 decimated herds and ruined farmers in the Midwest. Faced with the real famine that ensued, the hungry population no longer had beef available, so decided to eat the cattle feed, or what was left of it. And that is how America took to eating "corn", a habit that was exported to Europe in the 40s with the post-war American occupation. So we should not now be surprised to discover that maize has a high glycaemic index, given that for centuries it was used to fatten up cattle. But it is interesting to note that processing maize pushes up its glycaemic index still further, giving products like popcorn and cornflakes very high glycaemic potential indeed. So they are extremely fattening. 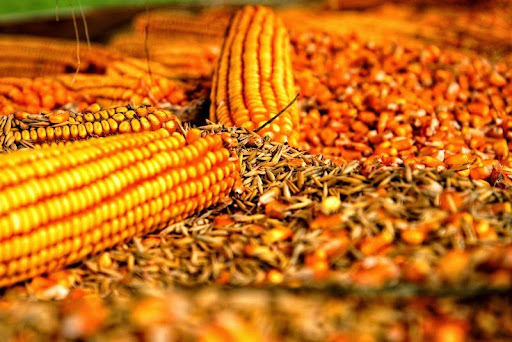 In addition, processed maize contains a substance that destroys niacin; this is a vitamin necessary for growth, and lack of it can also cause metabolic imbalances and abnormal fatigue.